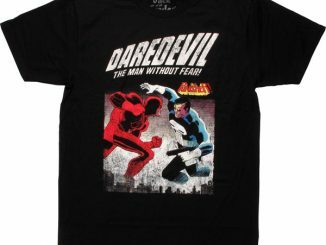 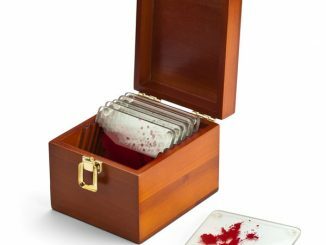 The Man Without Fear isn’t afraid to bleed on the Daredevil ‘In The Blood’ T-Shirt. 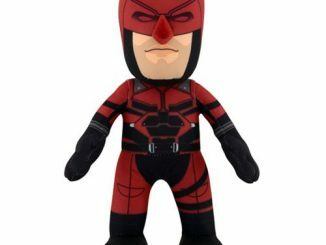 Before he was the big red double-D, Matt Murdock was the intimidating Man in the Mask. 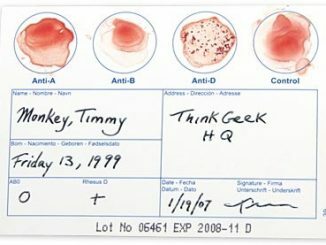 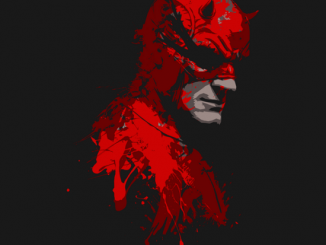 It’s not the greatest superhero name in the world but everyone in Hell’s Kitchen knew the name. 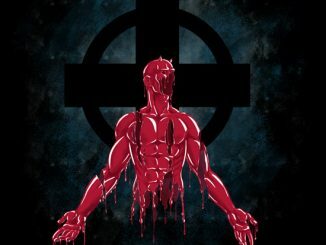 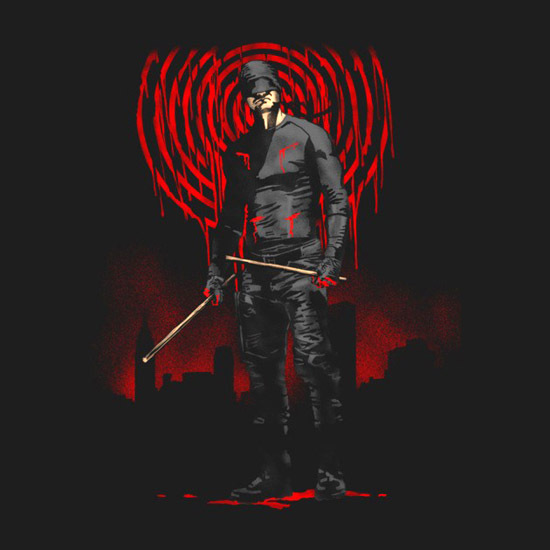 Artist Zerobriant provides a bloody look at the blind vigilante before his wardrobe included his iconic red costume. 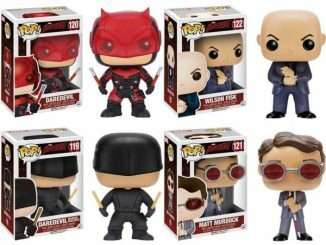 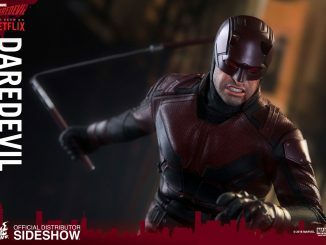 You even get the comic-book-style sonar effect Daredevil uses to see in his own unique way. 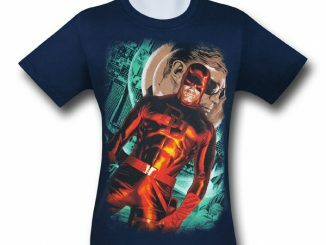 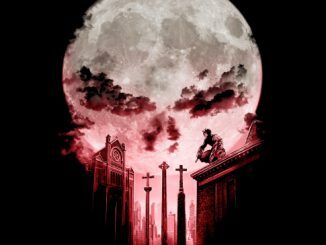 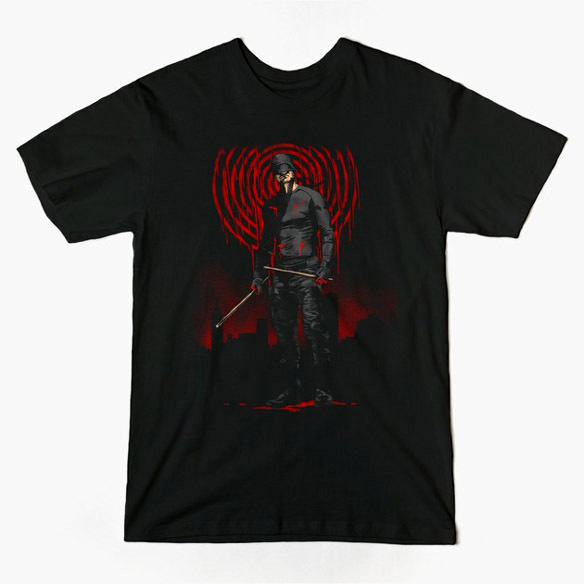 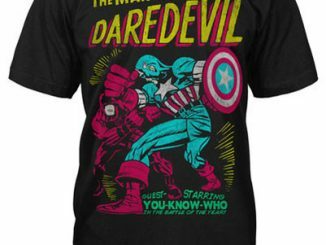 The Daredevil ‘In The Blood’ T-Shirt is available for $20 at Tee Public.